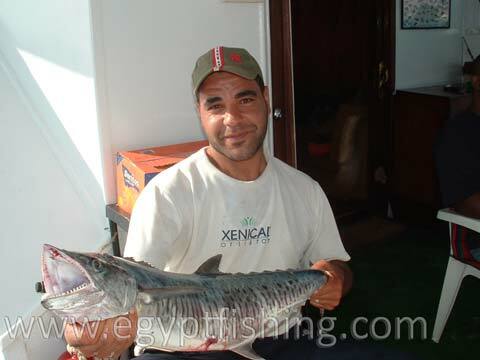 King Fish, also known as Wahoo, Spanish Mackerels, or King Mackerel, is one of the most welcomed and celebrated fishing species for fishing trips and fishing safaris in Egypt. 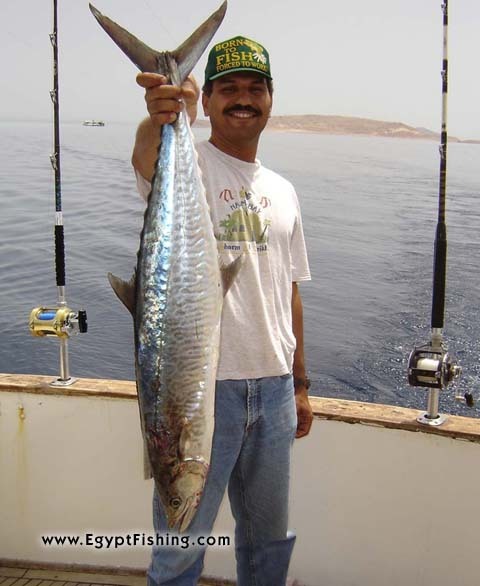 Most king fish is caught on trolling, but occasionally also caught on still "middle" fishing of deep waters--fishing half-way down; apprximatley 15-40 meters deep from the surface. 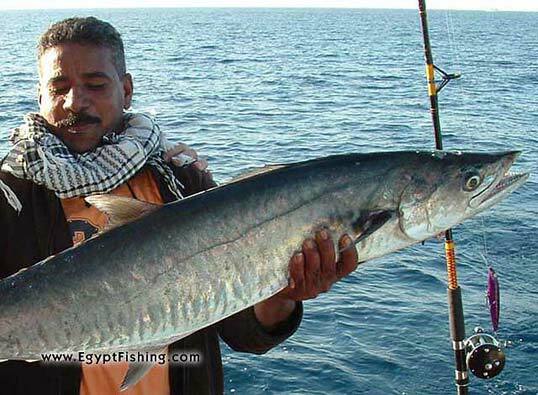 During Egypt Fishing's safaris in the Red Sea (including the fishing the Gulf of Suez, Gulf of Aqaba, the Egyptian Strait of Tiran, and southern Egyptian Red Sea), we have practiced and witnessed king fish being caught using all shapes, colors, and sizes of lures and spoons--from metal 5cm shallow silver or golden spoons to 20cm+ deep lures. 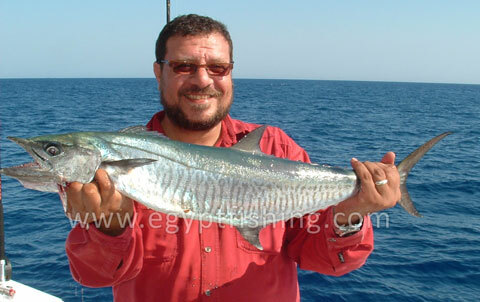 Anglers in Egypt consider king fish a smart fish that can easily run away after being hooked, if not managed carefully. 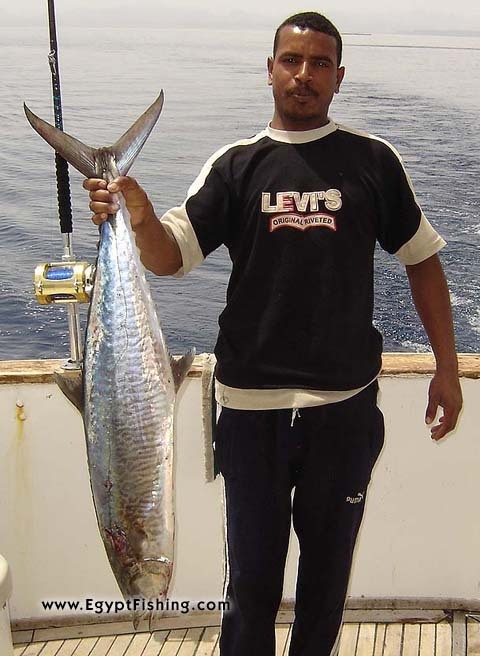 The golden rule while reeling in a king fish on trolling (applies also to other trolling fish such as tuna and giant trevally) is to maintain high tension on the line all the time either through slow boat movement, or by a fast reeling action, or both. 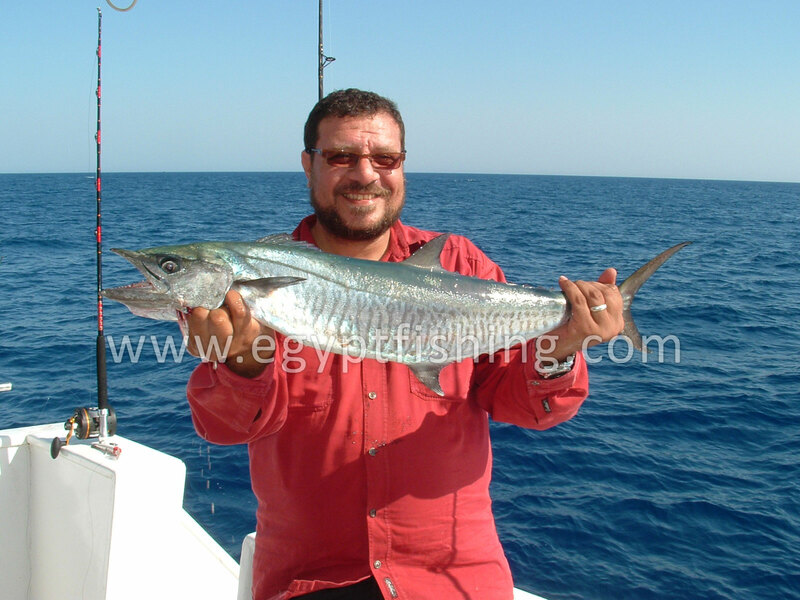 Full coordination with boat skipper is required in order to use boat movement as a quick reaction in case the king outruns the reeling speed or is close enough behind the boat that it can get beneath it and tangle itself to the propeller. 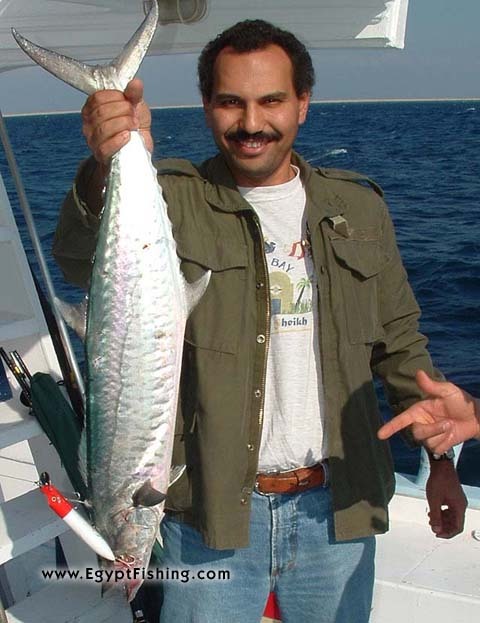 Any slack on the line is believed to be the king's golden chance to go away. 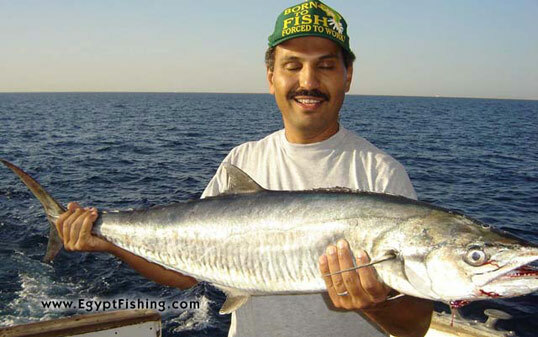 One of the reasons why Spanish mackerel, or king mackerel (سمكة الدراك in Arabic) is considered a smart (or rather, a 'sneaky') fish is that it 'races' the boat or outruns the reeling speed in order to create the necessary slack in the line that it needs either to unhook itself or to bite through the line with its razor-sharp teeth. 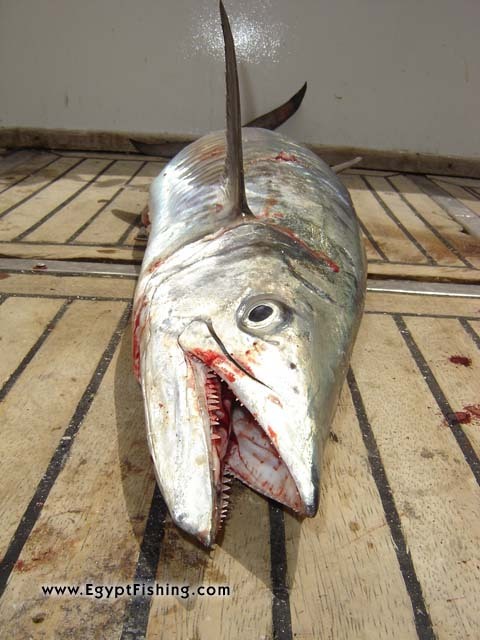 Tooth sharpness should not be confused with or compared to predator fishhes like barracuda, for example which exhibits a super-strong and sharp 'bite' rather than sharp teeth.